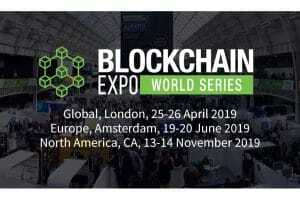 The Blockchain Game Alliance, a coalition of blockchain and gaming companies committed to advocating for the democratisation of blockchain within the gaming industry, was announced yesterday at the inaugural Blockchain Game Summit, which brought together industry leaders within the gaming and blockchain space. The Blockchain Game Alliance is made up of some of the most influential blockchain and gaming companies including Alto, Gimli, Fig, Ubisoft, Ultra, B2Expand, ConsenSys, EverdreamSoft, and Enjin. The Alliance aims to highlight the transformative nature of blockchain technology, as well as how it will bring about innovative benefits which will positively impact the gaming ecosystem. From developers to players, the Alliance provides an open forum for all stakeholders to share knowledge and collaborate on research which fosters new ways to create and play games. The Blockchain Game Alliance also aims to develop common standards and best practices that promote the alignment and uniformity of blockchain integration within the gaming community. “Blockchain is redefining the gaming experience by providing transaction transparency and proof-of-ownership, while also bringing exciting innovations and financial incentives to players. While the Alliance is still in its early stages, we are ambitious in our future plans and look forward to welcoming new members and unlocking the power of blockchain technology for the gaming community,” Gilot concluded. Founded in September 2018, the Blockchain Game Alliance is a coalition of gaming and blockchain companies committed to advocating for the democratisation of blockchain within the gaming industry. Convinced that this breakthrough technology brings numerous benefits to the whole ecosystem, from developers to players, the Blockchain Game Alliance provides an open forum for all stakeholders to share knowledge and collaborate on research that fosters new ways to create and play games. The Blockchain Game Alliance’s ultimate goal is to help spread the integration of blockchain by developing common standards and best practices. Founding members of the Blockchain Gaming Alliance include Alto, B2Expand, ConsenSys, EverdreamSoft, Enjin, Fig, Gimli, Ubisoft, and Ultra.